Doug Macy was not an artist, or a Northern Arizona University alum. Yet he was passionate about two things: collecting art and NAU—he had his son to thank for both. Aaron Macy attended NAU in the late 1990s and pursued a degree in ceramics. 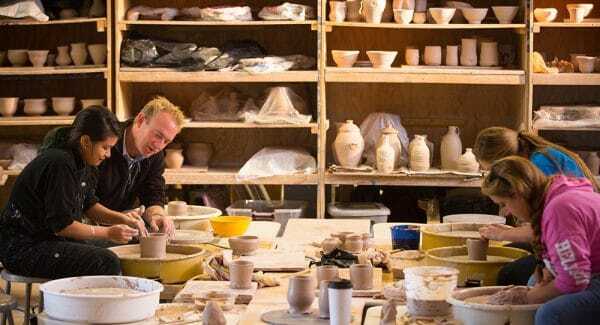 It was during those four undergraduate years that he fell in love with Flagstaff, creative expression and his alma mater—he was especially drawn to the woodfired kilns on campus. The Macy house was filled with Aaron’s creations, and consequently, Doug also acquired a strong appreciation for ceramic art. After graduation, Aaron moved to Ohio to pursue a masters of fine arts in ceramics. At the start of his second year of grad school, he became ill and ultimately lost his battle with leukemia. He died at the age of 29. Aaron’s ashes were scattered around Cottonwood Canyon in Utah—one of his favorite places. For many summers thereafter, Doug would make the 800-mile journey from Portland to the canyon to visit his son’s resting place. After spending a couple days in Utah, he would make his way to northern Arizona to spend time at Aaron’s other favorite place—NAU’s Ceramics Complex. Doug and Hess would grow to be great friends. They talked about art, and Doug shared stories about his son. 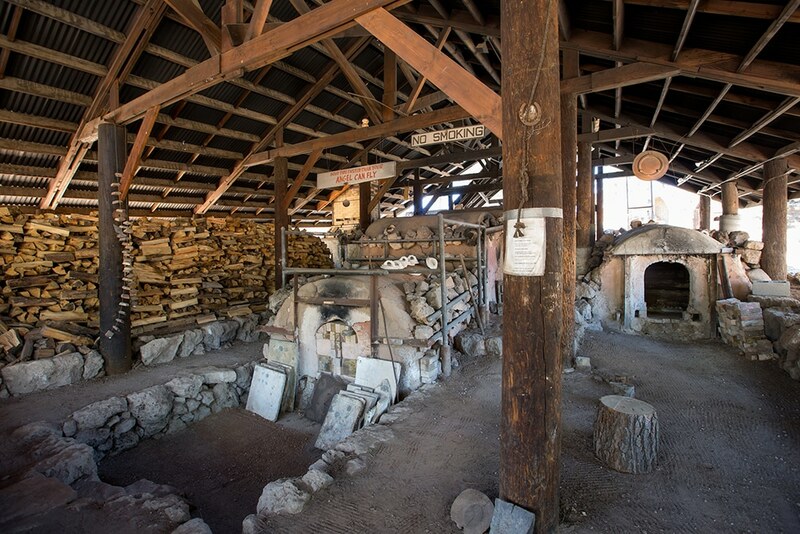 One of NAU’s woodfired kilns on the complex, that Aaron especially loved. 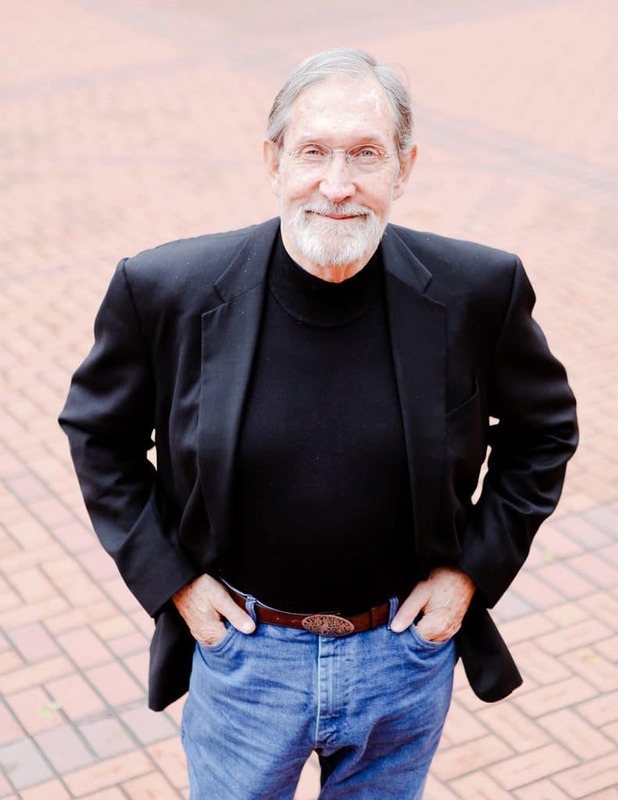 Doug was eventually asked to chair NAU’s College of Arts and Letters Advisory Council—he set the agenda for the committee and played a big role in raising money for the college. Though it was the biannual council meetings that kept him coming back to campus, he stayed involved in any way he could. When he was in town, he visited with ceramic students and participated in student critiques. He also put his landscape architecture career to use. From the placement, pathway and patio of the Japanese teahouse to the construction of the ceramics clay-mixing building, Doug was instrumental in designing and implementing multiple elements on the grounds of the ceramics complex, including a memorial wall covered in woodfired ceramic tile in honor of Aaron. Hess and Doug’s friendship would last 18 years, until Doug died in 2017. Though he was gone, Doug made sure his son’s legacy would live on. He devoted his life to collecting art. Over the course of two decades, he collected more than 200 pieces, mostly comprised of ceramics, but also paintings, drawings, prints, photographs and sculpture. The collection is now known as the Aaron M. Macy Memorial Collection. The collection, worth more than $650,000, was willed to NAU. 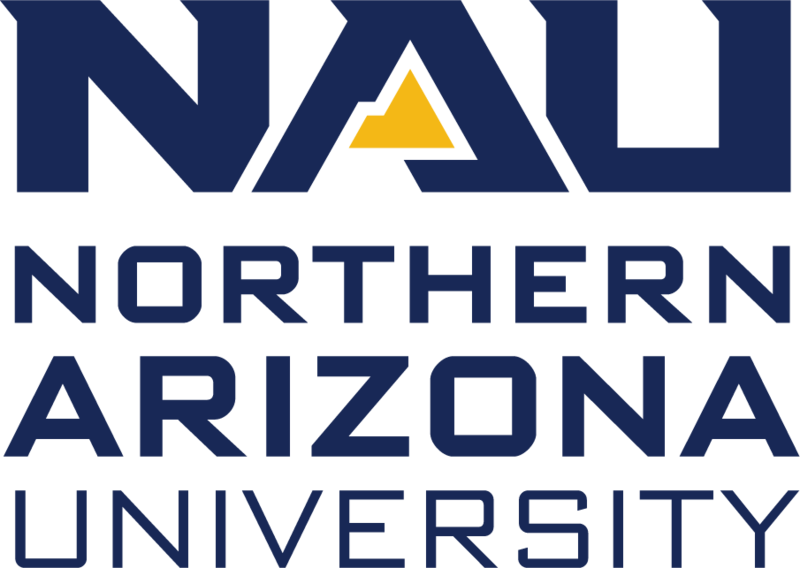 In addition, Doug put more than $400,000 into the Aaron M. Macy Memorial Award fund and NAU’s Tozan Kiln fund. He even provided funds to have display cases built at various locations around campus to house the collection. Hess said that Doug made sure all of the money he donated would directly benefit students: should a student want to go to China or India to study art, they could; if someone couldn’t afford art supplies or needed money to do other research, they would be funded. A portion of the money also will go to bringing visiting artists to campus each semester. Because of the Macys, the opportunities seem endless. That is awesome and great story! Thank you, Aaron, Doug and Jason! An old and dear friend of mine, Ellie Tibbetts, taught a ceramics class that Aaron was a student in, way back in the 90s. What a great story. Thanks for sharing. Aaron was an amazing artist AND an amazing man. I knew Aaron during our shared time at NAU, both from a mutual friend as well as the Ceramics Lab. In 1994, I shared an overnight shift firing the Anagama with him, where we were able to chat through the amazing Flagstaff night, blazing hot as we were stoking, then freezing once we were a few feet from the kiln. It was already a very surreal experience with the light snow offset by a light show, in the grove surrounding the lab, which at the time was still somewhat edging the full forest and not mostly surrounded as it is now. All at once, at about 3:00 or so in the morning, some music began to play at full blast “Ladies and Gentlemen, Harry’s Harbour Bazaar presents….HUMAN ODDITIES!! !” the opening of The Black Rider album by Tom Waits. It was the perfect album at the perfect time, and Aaron clearly knew this. It was very cathartic as I was nearing exhaustion from the time and the work. Though I mostly audited Ceramics Lab as a way to relieve stress, it became an important part of my time at NAU, and I make sure that I always visit the lab when I visit from Dallas. I always remember Aaron as I walk around the Anagama/Noborigama shed and the Aaron Macy Memorial Wall while, of course, blasting The Black Rider. I’ve many more miles to go. This was a wonderful story to read. My grandfather is Don Bendel, so I spent many summers at the Tozan during firings, and have fond memories of Aaron. So happy to see his legacy live on. Yes, Don (and his TAs) was my instructor during that timeframe. He was always very kind and fun. The NAU Ceramics Compound really is a magical place, then and now. What a lovely expression of the power of art to heal and help. Thanks for sharing this story.